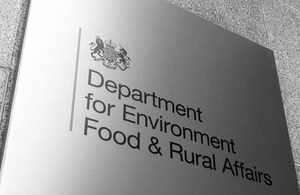 The Department for Environment, Food and Rural Affairs has appointed Robert Caudwell as the Chair of the Anglian (Northern) Regional Flood and Coastal Committee (RFCC) with effect from 1 July, and Lorraine Brown as the Chair of the Southern RFCC, with effect from 1 August 2012. Their appointments will run until 30 June 2015. The appointments followed procedures set out in the Office for the Commissioner for Public Appointments (OCPA) Code of Practice. The Chair posts attract a remuneration currently set at £17,503 for a commitment of five days per month. Regional Flood and Coastal Committees (RFCCs) help to provide governance for the Environment Agency Flood and Coastal Erosion risk management functions and cover all flood risks that are not the responsibility of the water companies. They have replaced the Regional Flood Defence Committees which previously existed. There are 12 Committees across England. to provide a link between the Environment Agency, LLFAs, other risk management authorities, and other relevant bodies to develop mutual understanding of flood and coastal erosion risks in its area. Robert has been a Chair of the Anglian (Northern) RFCC for the last seven years. He has Chair, Board and non-executive positions with a number of public sector organisations. He also holds a number of senior positions with the National Farmers Union including Chair of their National Audit Committee. Lorraine was Executive Director of Environment at Southampton City Council from 2003 until 2011. Before that she held a variety of other positions within Southampton and other local authorities. As Executive Director at Southampton she was Chair of the Southampton Flood Defence Strategy Group.